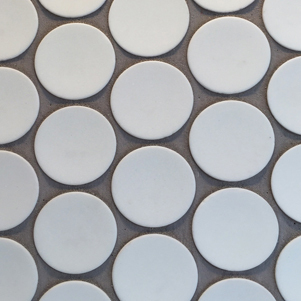 Introducing our Jumbo White Pennyround Glass Mosaics, currently available in Matt White. 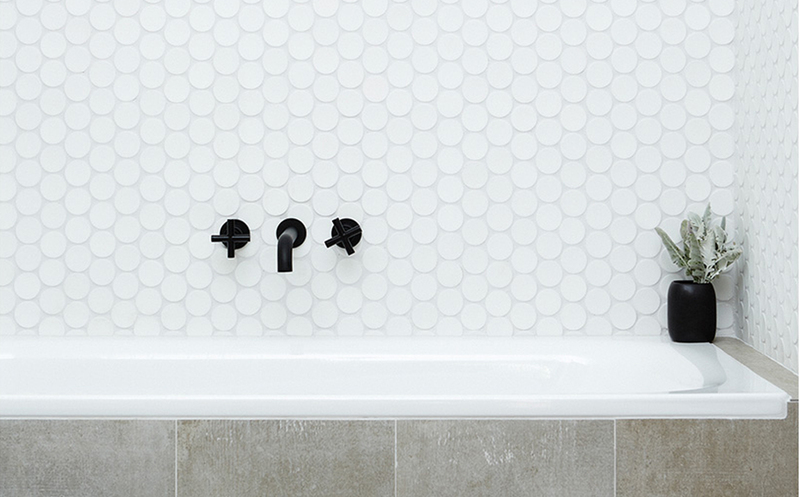 Consider using these gorgeous mosaics with either matching white grout for a clean white finish, or a cool grey for a striking contrast. Supplied on interlocking sheets allows ease of installation and disguises joints between sheets.